Heating up the competition in India’s premium smartphone market, Chinese giant Huawei on Tuesday launched its flagship Mate 20 Pro device in the country for Rs 69,990. This is the first time a premium Mate series device has made it to India. The device will be available online on Amazon starting December 3 for Prime members while regular customers would be able to purchase it starting December 4, Huawei Consumer Business Group said. 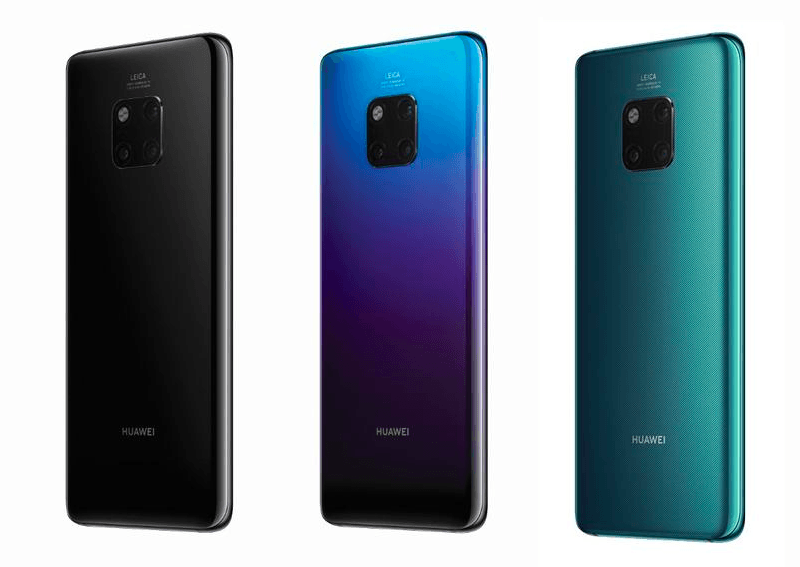 The Mate 20 Pro sports triple cameras on the rear side and takes on the likes of Samsung Galaxy Note 9, Google Pixel 3 XL and the latest iPhones. The Huawei Mate 20 Pro supports 3D Face Unlock and in-display fingerprint sensor, which is fast becoming a rage in the industry. The Mate 20 Pro is powered by Kirin 980 — Huawei’s highest performing system on chip (SoC). Manufactured with the advanced 7nm process, the Kirin 980 chip promises to offer improved performance, better battery efficiency and a smoother user experience. “We are excited to launch the most powerful and intelligent Mate ever — Mate 20 Pro for the Indian customers. India is a key market for us and it is our constant endeavour to create value for our Indian customers, offering the most innovative smartphone technology,” Wally Yang, Senior Product Marketing Director, Huawei Consumer Business Group, told reporters of IANS. The smartphone comes with the world’s first 40W Huawei Super Charger that can charge the device’s hefty 4200 mAh battery to 70% within 30 minutes of plugging in. The device comes with key contributions from the Huawei India R&D team, thus, allowing for several localised capabilities. “We aim to complete 200 million shipments by the end of 2018,” said Paras Chopra, Senior Director, Product Planning, Huawei Consumer Business Group. The Huawei Mate 20 Pro comes with a 40MP main camera, a 20MP ultra-wide angle camera and an 8MP telephoto camera. 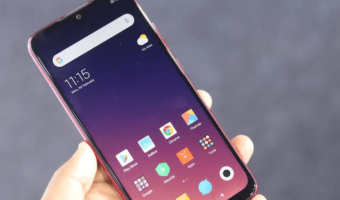 The phone sports the company’s recently launched EMUI 9.0 based on Android 9 Pie OS. Huawei’s EMUI 9.0 is created to “enable a quality life” with digital balance. HiVision – a new feature debuting with EMUI 9.0 recognises classical art, popular landmarks and can translate the text of a range of languages. The Matrix Camera System includes Leica ultra-wide angle lens that allows users to capture wider and closer photos with its new macro distance capability. The Huawei Mate 20 Pro is the also world’s first smartphone to support the 4.5G LTE Cat. 21 standard, thus, allowing consumers to experience download speeds of up to 1.4Gbps. The smartphone rocks a 6.39-inch curved AMOLED display and a has a chassis that is curved on all eight sides. The Matrix Camera array on the rear of the device features a four-point design with the three cameras and sensor encircled in a polished metal frame. The “Hyper Optical Pattern” on the glass back uses a complex hairline pattern to produce an effect that is not only highly durable but also makes the device easy to grip and fingerprint resistant, the company added. The price of the Mate 20 Pro in India has been set as Rs 69,990. The device would be available as part of a bundle along with the Sennheiser PXC 550 headphones for a special cost of Rs 71,990, for early bird customers, the company said, adding that the device would also be available across Croma stores in key metro cities starting December 10. Software update support ends the day you purchase it. Does anyone remember Nexus 6 made by Huawei? Till date they never bothered to give Jio VoLTE support for it even though the hardware officially supported it. Should’ve used x20 modem instead of x21. X20 supports 2Gbps which QC will be using in the 8150 I think coupled with a 5G modem. Yes I know, but they use the same category number. Cat20 supports 2Gbps whereas cat21 supports 1.4Gbps.